Video Games. Rock ‘n’ roll. Dancing. Sports. 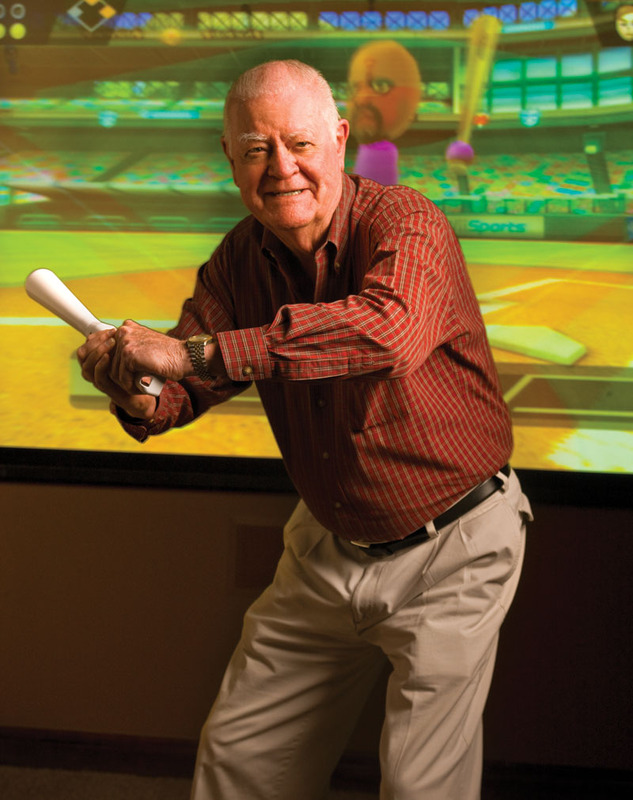 Each are thought of as child’s play, but an older generation is finding new life in the activities of their youth. 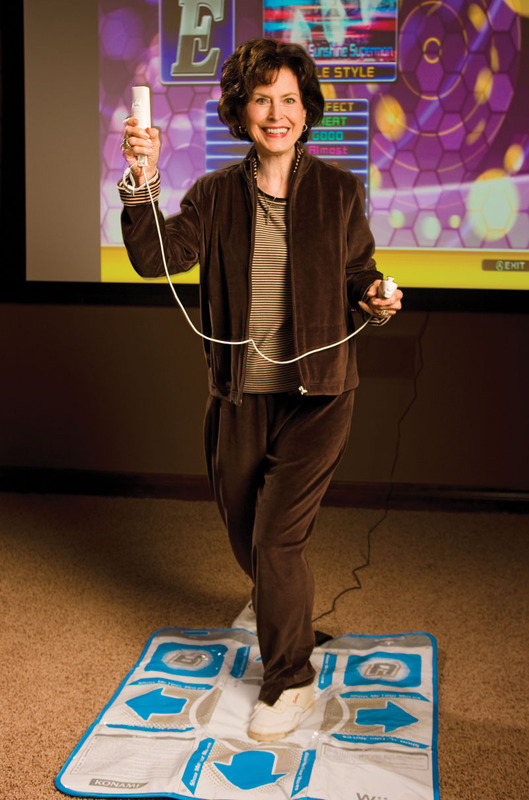 We assembled a group of 10 Buzz readers over 50 to try out Nintendo’s new Wii system and prove there’s no age limit on a good time. She’s the last person anyone would pick to rock it out. 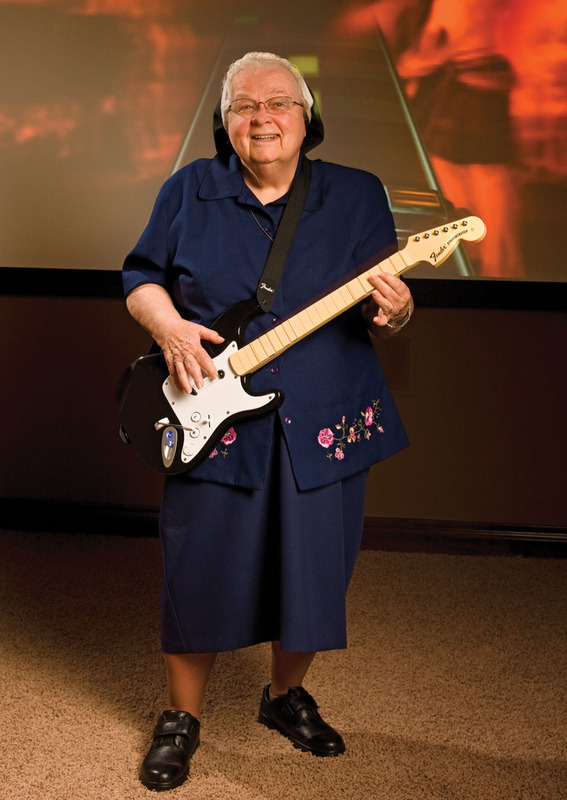 Sister Jean Marie Guokas took time out from keeping the kids at St. Vincent De Paul in line to prove you should never underestimate the power of the game. The good sister is just one of many discovering video games are not just for kids and are finding a new market in an older crowd. She says she wants to get one for the convent to help her fellow nuns. This is one lady that has shaken off any idea of retirement. Annette Duggan still heads to her interior design business every day. 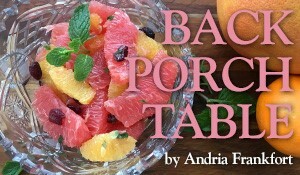 She is just one in the 50-plus generation refusing to hop in to a rocking chair and wait for the golden years. 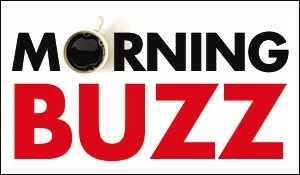 “This game is much more fun than a treadmill or bicycle,” says Annette. She says a friend uses the games as a part of physical therapy. Don’t expect to see Harry Pepper spending his time playing shuffleboard. In fact, don’t expect to see him shuffling anywhere. 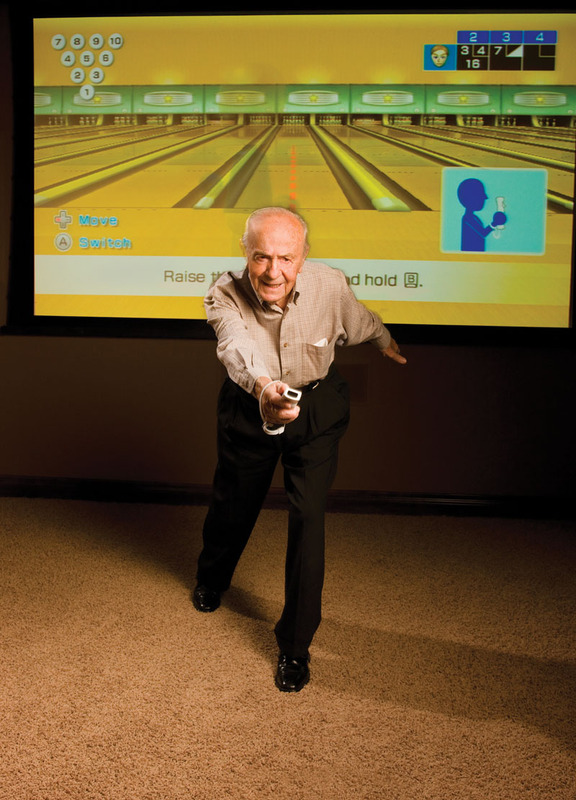 The 98-year-old still makes his twice-a-week bowling game. It is no surprise once Harry got the hang of the Wii bowling lanes, it was all about the strikes! This time she decided to give skiing a try. 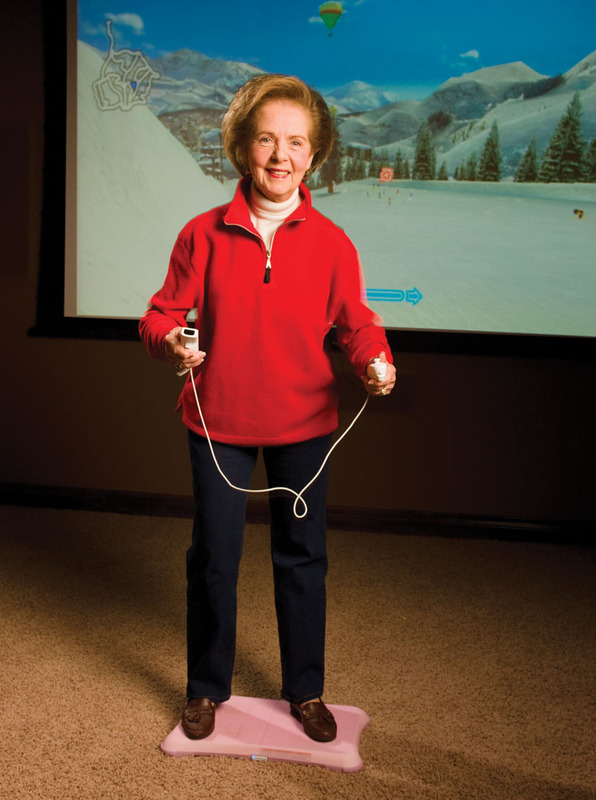 A few minutes on the virtual slopes and it was clear Diane was soon to be a pro. It may not be about late nights, smoky concerts, and partying anymore, but don’t count out the bad boys of rock just because they are getting a little grayer. 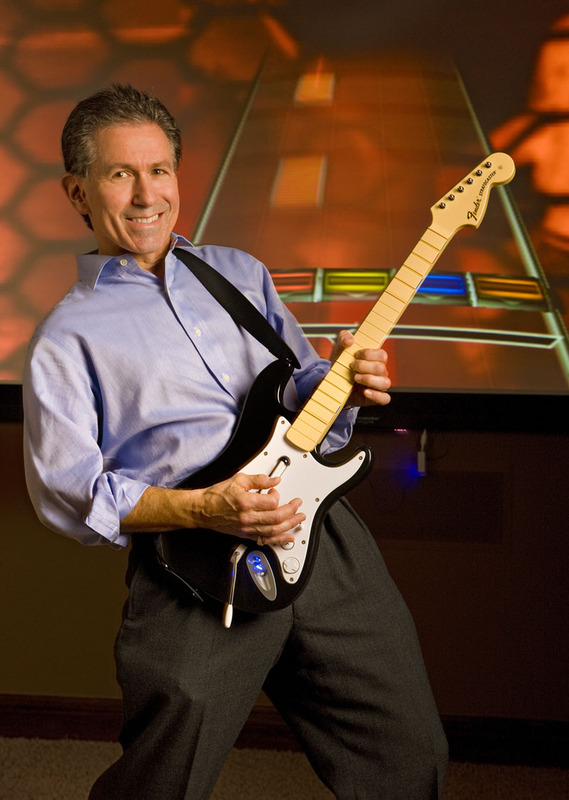 An orthodontist by day, David Wadler is a rocker by night. As a member of Midlife Crisis and the Hot Flashes he proves you are never too old to rock ‘n’ roll. Tom says he doesn’t see a game system in his future, but the fact that we had to pull him away from the game long after shooting was done could mean his mind is likely to change. Taking time out for fun is also a part of this new life. So is trying new things, like a skee ball video game. Striking a pose for our shoot, Lorelei says there is an emphasis on youth and it’s not such a bad thing. 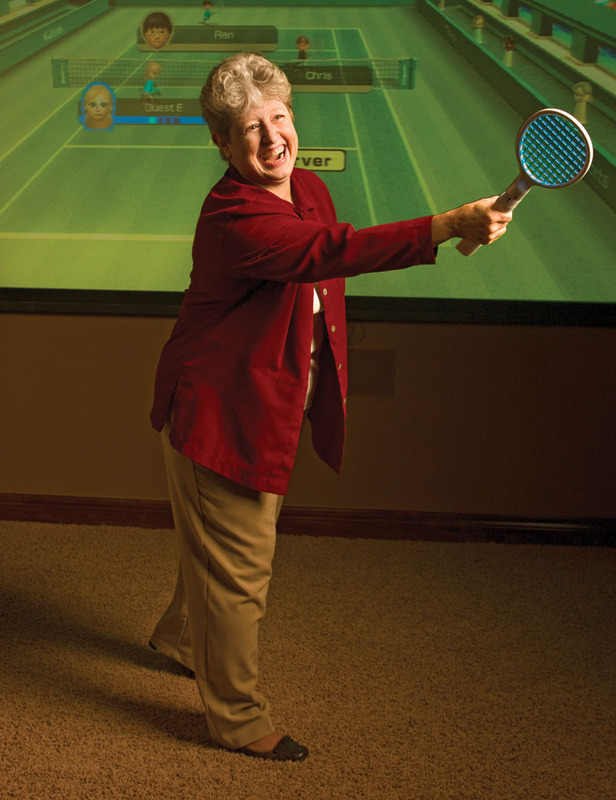 It didn’t take much pressure to get librarian Mary Alford Cohrs to step away from her books to give a virtual tennis game a try. 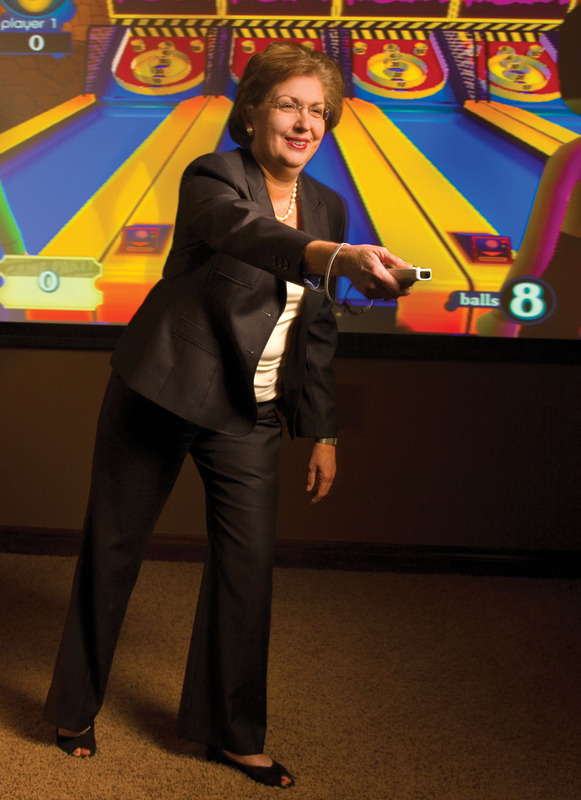 Mary says like other libraries, Bellaire should have a Wii system of their own by spring. So be on the lookout for those social events. The thrill of a sport like hunting comes from the chase and, in the end, hitting your target. 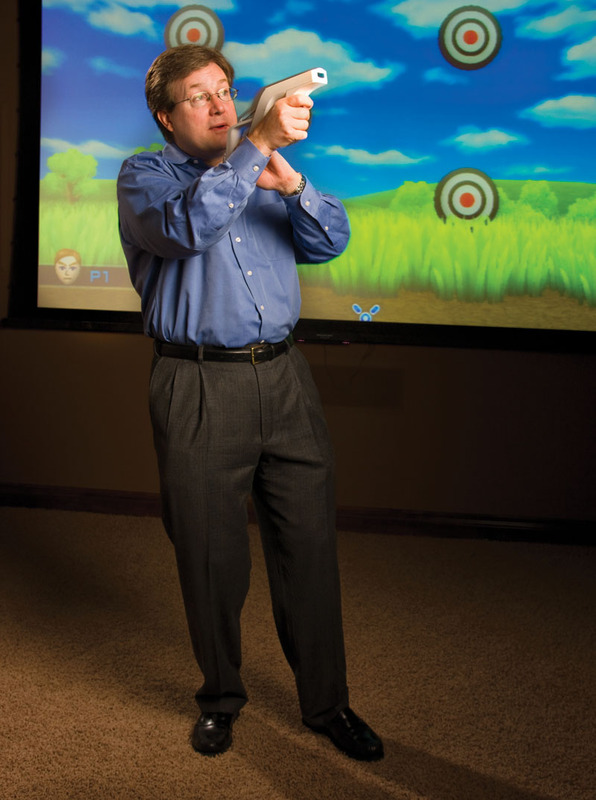 Pastor Scott Endress of Chapelwood United Methodist Church took a turn on the Wii duck hunt and found it’s a little bit like the real thing. “I want to get it now and start working on it, because I know I was no where near as good as I could be,” he said. Editor’s Note: A special thanks to Meyerland GameStop and Electronic Dreams in Bellaire for their assistance with our Wii photo shoot.